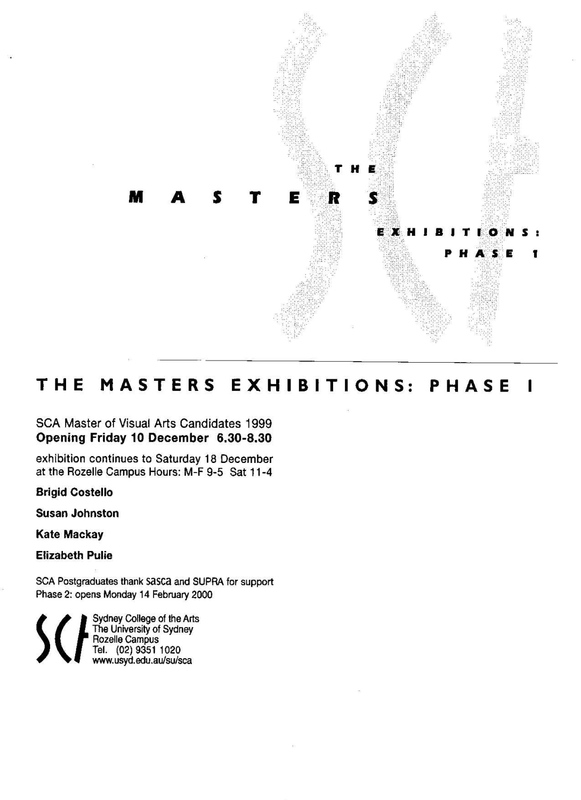 I completed my Master of Visual Arts in Painting at Sydney College of the Arts in 1999 with an exhibition in the college gallery. 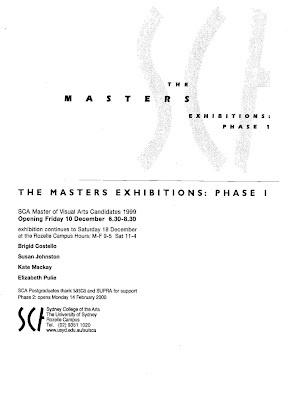 I exhibited 4 paintings and 2 crocheted works. 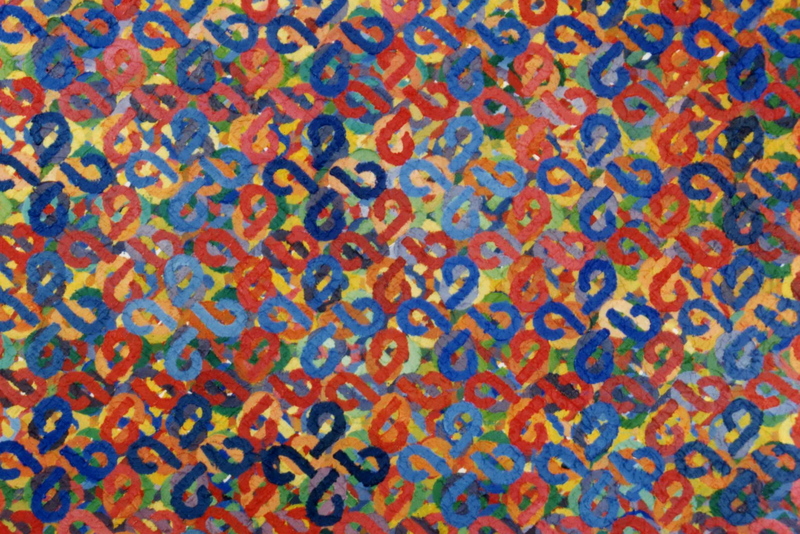 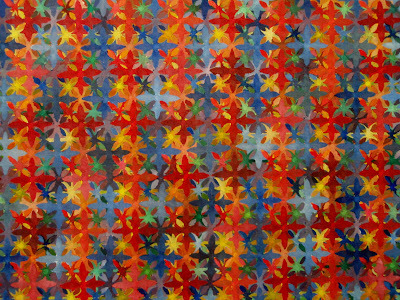 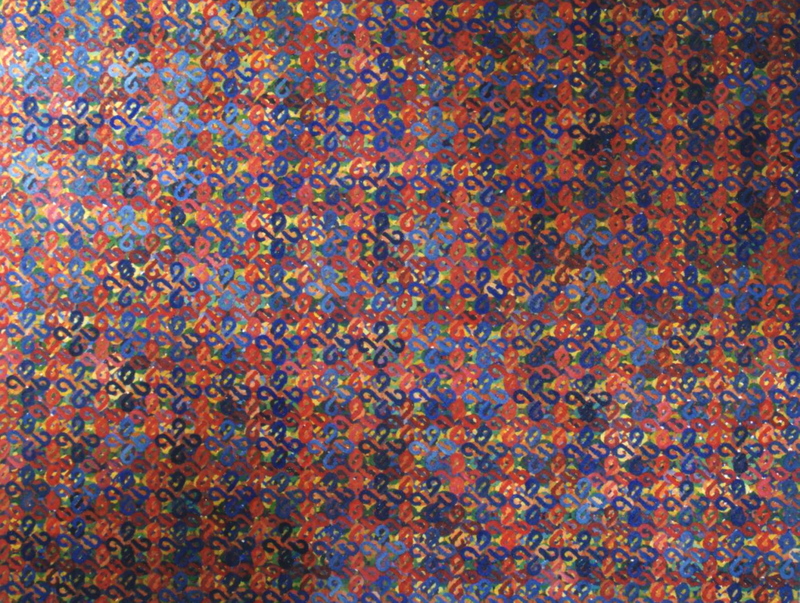 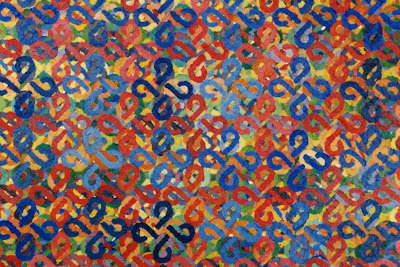 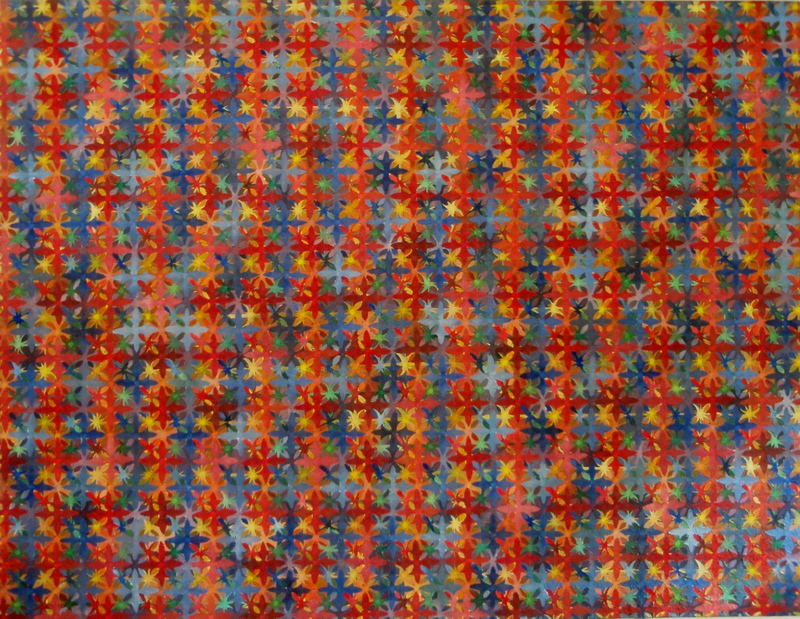 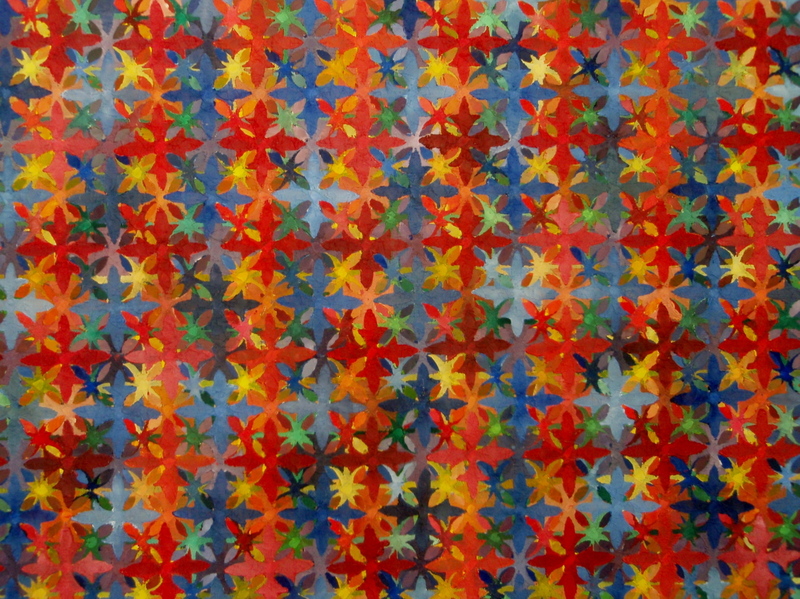 The paintings were constructed by the repetition of a single motif. 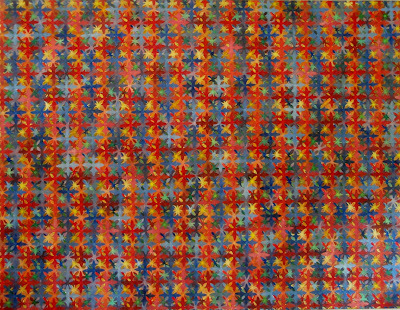 Each painting had one motif that was repeatedly layered in a grid pattern until no blank canvas remained. 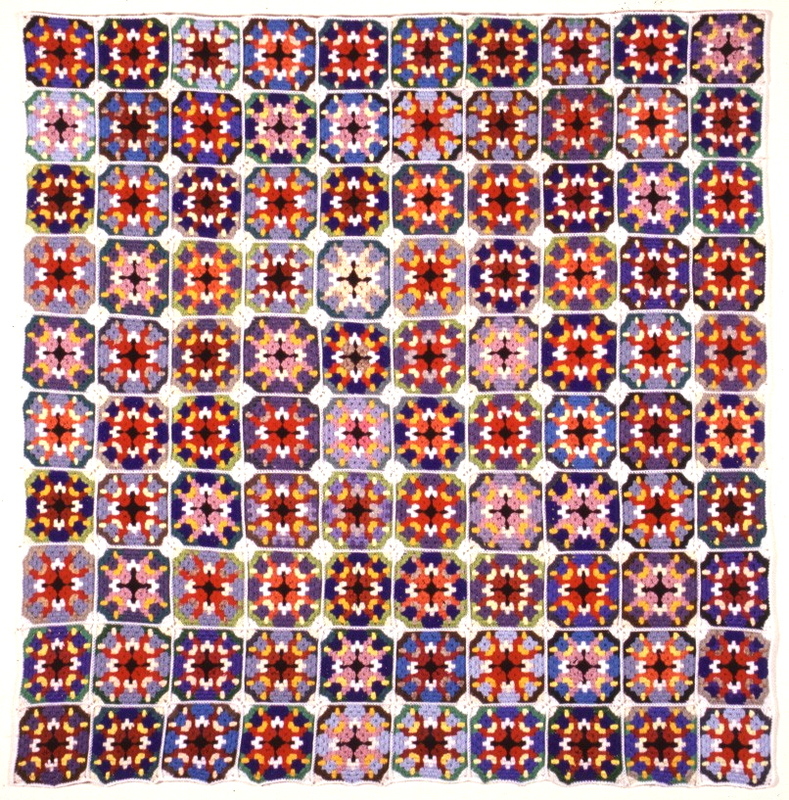 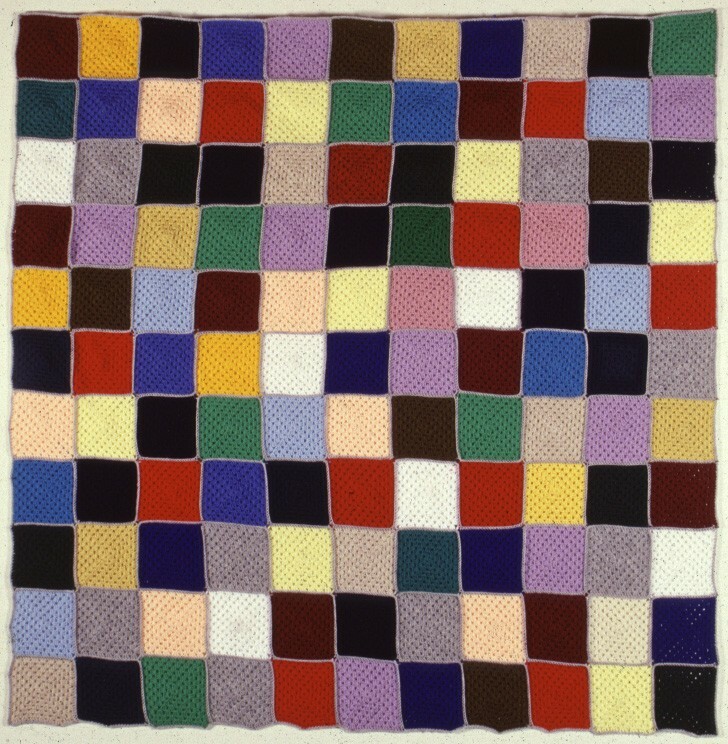 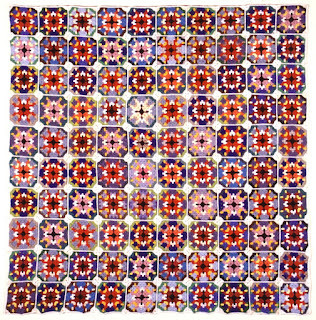 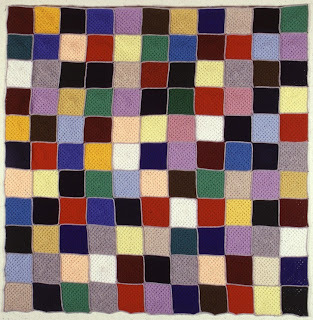 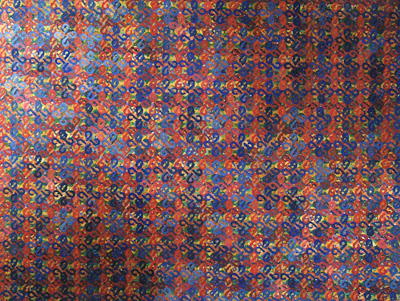 The crocheted works were also based on the grid, with one work being constructed from coloured squares, the other being a crocheted version of my 'Same Paintings'.